A unique approach to weather forecasts, for your ride, with your route, at your pace. Epic Ride Weather helps you to be prepared, making your rides that much better. Wondering if you'll need an extra water bottle? Don't want to pack that extra kit unless you really need it? Want to choose the best time of day to ride? Epic Ride Weather takes into account your expected location and timing based on GPS data that you provide, combining multiple forecasts to give you a projection of weather over time and space. Available for iOS and Android. 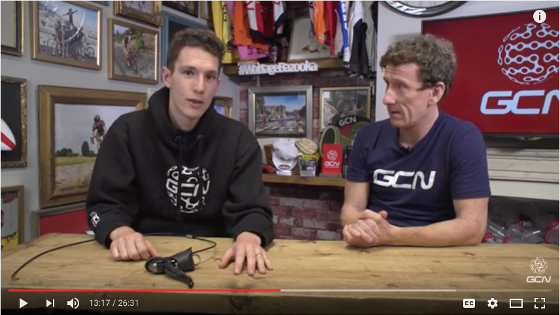 Featured on the GCN Show! Using a route from Strava, Ride With GPS, Komoot, MapMyRide, Trailforks, Runkeeper, TCX or GPX file, Epic Ride Weather provides forecasts for temperature (actual and feels-like), precipitation (probability and intensity), wind speed and direction for the duration of your ride. Epic Ride Weather is compatible with Strava, Ride With GPS, Komoot, MapMyRide, Trailforks and Runkeeper. Epic Ride Weather also supports Garmin TCX files and GPX files. UCI WorldTour teams and professional teams can connect to the VeloViewer Race Hub directly with Epic Ride Weather. Requires a VeloViewer Race Hub account. Apple, iOS, iPhone and iPad are trademarks of Apple Inc. Android, Google Play, and the Google Play logo are trademarks of Google Inc.